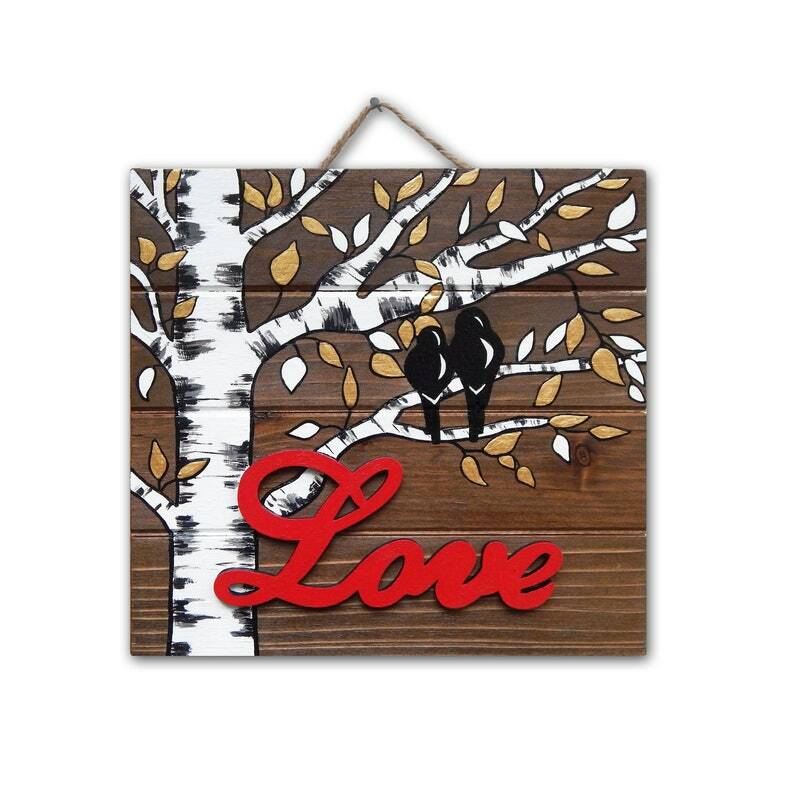 Darling Love Sign Farmhouse Wall Decor that will add charm to any room interior! Lovingly handpainted by me using acrylic paint. The word "LOVE" is attached to the sign and adds a 3-dimensional effect. Leaves are painted in metallic gold and white. The front panel is varnished for protection. Beautiful Wedding or Valentine's Day Gift! Unique Bedroom Decor! Only ONE available! My art is inspired by nature. I am always in awe with nature’s extraordinary creative force, spirituality and beauty! My art is highly collectible due to its unique painting technique and recognizable style. I was featured in Content Magazine and many on-line blogs.